Balboa Health Insurance was originally part of Bank of America. In February 2011, the company was sold to Australia’s QBE Insurance for more than $700 million. QBE is one of the top 25 global insurers. Get your health insurance quote now by entering your zip code in the toolbox now. QBE currently does business in 50 different countries. Its Health Insurance Division falls under the Marsh Insurance umbrella. Marsh insurance specializes in insurance for expatriates and non-residents. Marsh Health Insurance has the ability to insure two types of individuals. First, Marsh insures expatriates who are Australian expatriates working outside of Australia. Second, Marsh insures non-residents who possess a 457 visa which are non-Australians assigned to Australia. Under the QBE umbrella, Marsh offers policies, which cover hospital, medical, dental, and ancillary benefits for policyholders and their families. The policy also provides coverage when they return home. The insurance policy also provides ancillary coverage. Ancillary coverage includes pharmaceutical, optical, and dental needs as well as acupuncture, chiropractic services, hearing aids, podiatry, occupational therapy, and psychiatry. Under the policy, numerous benefits are provided. These benefits include complete coverage of hospital costs, zero waiting periods, zero deductibles, pregnancy coverage, vaccinations, and medical check-ups, doctors and specialists. Additional benefits are provided on the website. Policy costs are listed on the website and are broken down into coverage underneath each policy. Health coverage for Overseas Visitors is available in five different plans ranging from top of the line coverage to medium coverage. Additional riders can also be added to your policy. If you are only visiting Australia for a short time, you might want to look into the Short Stay Educational Cover policy. It basically provides hospital coverage for a very small charge. You must be under 50 to qualify for this coverage. The Expatriate Policy is not explained in detail on the site. You must call a broker for information. You can receive a quote from Marsh Health Insurance by calling: 1300 720 929 or emailing [email protected]. Marsh Health Insurance Agents are insurance agents and independent brokers. Agents and their address of business can actually be located on the main Marsh Australia agents site. In addition to the addresses and phone numbers of the agencies, you have the option of emailing the agent. You can also email all documentation to [email protected]. There are also corporate headquarters located throughout Australia. These locations can also be found under the Marsh Australia website at www.marsh.au.com. Marsh Health Insurance Careers can be found on the main Marsh website at www.marsh.au.com. Under the career section, there are three subsections: Diverse Roles, Career Development Programs, and Employee Benefits. The Diverse Roles at Marsh explain the different career choices available. For example, the site provides information on broking careers, customer service, claims, risk consulting, business development specialists, and insurance sales. The site also mentions corporate divisions, which include human resources, IT, finance, and facilities. 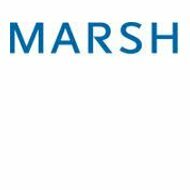 Career Development is devoted to the explanation of how employees are trained and should you be hired, Employee Benefits explains the benefits you will receive by working at Marsh. Job vacancies are listed on the site by either performing a job search, jobs matching your profile, or viewing all jobs. You can establish your own job page and save any positions you may be interested in pursuing. Should you have any questions regarding employment opportunities, you should contact Luke Menelaou at [email protected] or by calling: 61 2 8864 7574. Marsh provides customer service to its clients by providing an online form to submit a comment or feedback. The form can be found on the main Marsh website at www.marsh.au.com. Marsh also allows its clients to make online payments on their website. Marsh is currently rated an A by AM Best. Marsh Insurance is doing a great job offering international insurance to Australians working abroad. I am myself an expatriate working in Australia and can identify with the concerns expatriates have with regards to medical expenses when living abroad for extended periods. I would just like to share that my CIGNA Expat insurance policy gives me the confidence that my family and I will receive the best medical attention here in any eventuality. It makes our stay in Australia that much more stress-free and enjoyable.